The professional chefs at Michelin-star restaurants all over Europe and North America and those who strive to be the best require the unbeaten quality of the kitchen appliances. 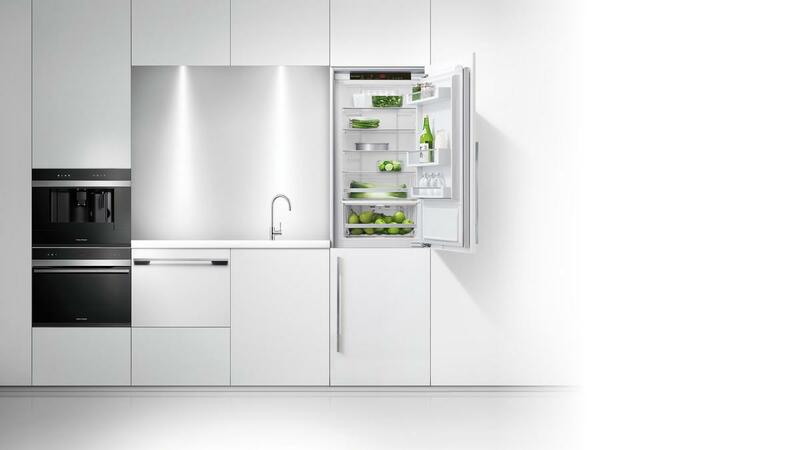 Frigidaire pro series offers professional refrigerators that meet the highest standards. Frigidaire is one of the brands in Electrolux’s family. Electrolux has a long history of success based on thoughtfully designed products that are the result of constant investment in consumer’s needs research. The developing of the best kitchen appliances also involve a close collaboration and consulting with professional chefs, as well as the state-of-the-art production equipment. 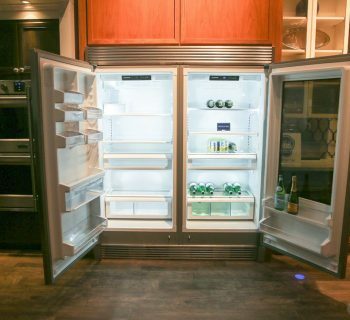 In this article we are going to review the model of frigidaire professional refrigerator and find out its strong and weak sides, so you could make up your mind. Consumers usually buy this type of product for the commercial purposes, so they require it to promote their business and, eventually, the net profit. 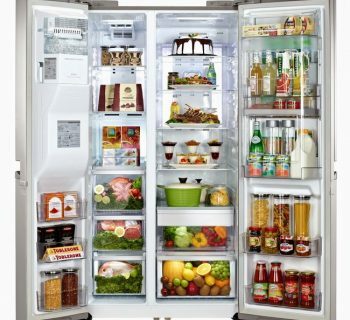 Therefore, a professional refrigerator should maintain the complete freshness of the foodstuffs as long as possible. It has to be easy to clean and maintain. It has to be roomy in most of the cases. Convenience and quiet work is a plus. Nowadays, the energy saving technology and thus the possibility to save the money, make the product outstanding and desirable. Adjustable bins and shelves, extra functions also bump the product to the category of superior quality units. 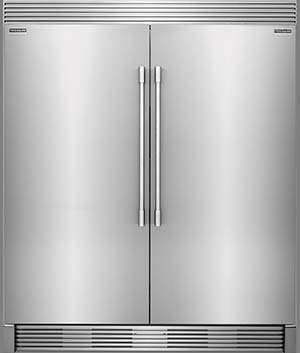 Frigidaire professional reviews promise the compliance of this product with the quality requirements. Let us figure it out whether it is a truthful statement. Refrigerator shows 19 cu. 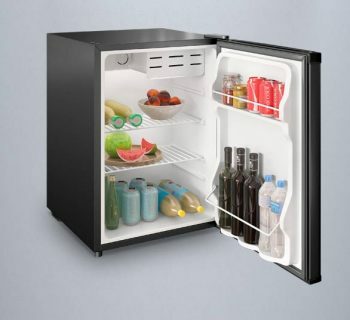 ft. capacity and has 20.6 square feet total shelf area, all spill-proof glass. 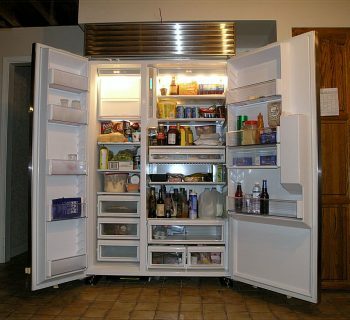 Full-width shelves of a refrigerator provide fast, easy, and convenient access to any large item, even 26 inches wide. 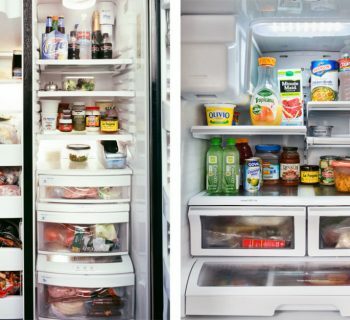 There is also full-width Deli Drawer in a refrigerator for storing sandwiches, cheeses, deli meats, or any food that is frequently used. 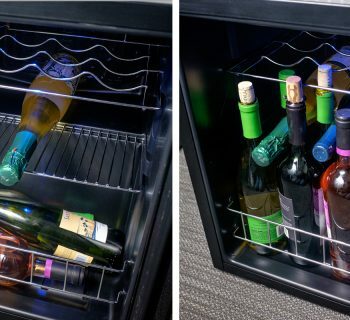 Four clear two-liter bins can be easily mounted on the door in one of the adjustable positions. Freezer also features 19 cu. ft. capacity and has 20.9 square feet total shelf area. Two storage baskets of the freezer slide out like a breeze and provide an easy access and keep things organized. 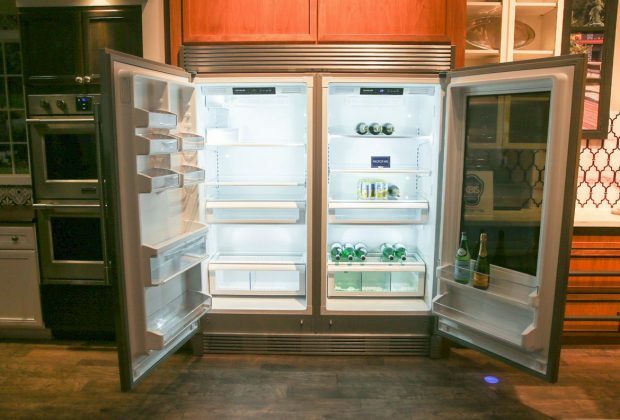 The freezer is equipped with five clear door bins that can be adjusted, one full-width fixed door bin, and a factory installed powerful automatic icemaker. 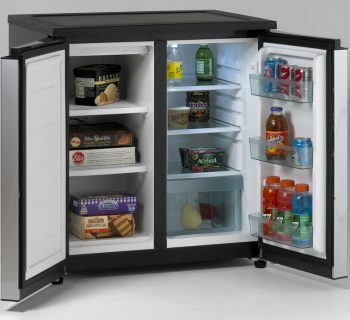 This frigidaire professional refrigerator is designed, front end engineered, and assembled in the U.S.A. and that’s is why you may be quite confident in its decent quality. Both sections feature 38 cu. ft. capacity and that is pretty much even as for a professional appliance. The space-pro shelving attracts attention due to a great possibility to optimize the space and have a quick and convenient access to your foodstuffs. In addition, the air purifying system prevents the ingredients from odors seven times more efficient, thus, they will keep tasting fresh. A PowerPlus icemaker is powerful and allows unlimited access to ice, which is great concerning drinks serving, sorbet making, or many other сooking processes. The last but not least argument is an affordable price. Some users in frigidaire professional reviews complain that the trim may by a bit shaky to install, so you will need some skills to set up this unit. However, any equipment requires some installation. The other consumers consider it to be a little noisy but, taking into consideration its capacity and principally non-domestic use, it is an expected issue. This model of frigidaire pro series is a comprehensive, functional, optimized professional kitchen appliance. It comes at the affordable price and promises a wide range of options aligned with good quality. In general, it has all odds of success.